When Is the Best Time to Complete Home Repairs? Many people choose to undertake home repair projects during the spring, when the weather is starting to turn warm. However, the fall and winter are a good time for indoor projects like bathroom or kitchen remodeling and restoration. Many builders use the Christmas & Thanksgiving holidays as a deadline for interior remodeling projects, perhaps because it’s a great time to have company over. Those who are good with tools may be tempted to tackle projects like grout removal and tile cleaning on their own. But what if there were a dependable restoration service that could get the job done in a timely and professional manner? The Grout Medic brings great customer service and impeccable interior restoration to homes and businesses throughout the country. No one wants an incomplete tile cleaning project or grout restoration job before the busy Christmas & Thanksgiving holiday season. Customers need a restoration company like The Grout Medic that has years of experience, and knows how to get the job done efficiently — and get the job done right. 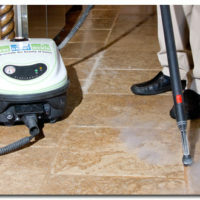 Find out more about the tile and grout contractor services we offer. In the fall and winter, closer to the holidays, contractors typically do not get as much business as they do during other times of the year. Thus, restoration work might be a bit less expensive . By taking advantage of a grout and tile service, you’ll be spared the trouble of having to get down on your hands and knees to attend to those floors — an unnecessary stressor during the holidays. So, get that holiday shopping done, shovel the driveway, or visit with family and friends. Save the headache and leave the hard work up to the professional tech’s at The Grout Medic. During the fall and winter months, it helps to have a restoration professional committed to providing great customer service. These days, customers are demanding higher standards of service from the companies they work with. Many companies have failed to realize how vitally important customer service really is. Customer service is one of the most important things you can do in a business, because it builds trust with customers. We provide better customer service than any contractor in the market. The trust our service builds is just what our wonderful clients need during this time of year. Especially around the holidays, you’ll want a restoration company known for their customer service when you have company over. The Grout Medic is committed to high standards of customer service — that’s why so many customers trust us to provide superior cleaning, sealing, and tile repair services. If you’re interested in completing a remodeling project this holiday season, contact the Grout Medic to learn more about our various grout & tile cleaning and repair services for your kitchen and bathroom today!